“Price Discrimination” – is it good or bad? Before we dwell into that, for those unfamiliar with price discrimination, it is a pricing strategy where identical or largely similar goods or services are transacted at different prices by the same provider in different markets. This pricing strategy worked wonders for Apple which offers varying prices across different continents. Case in point – did you know an Apple Watch is £2,500 more expensive in the UK compared to the rest of the world? However, would price discrimination work as well for a start-up? 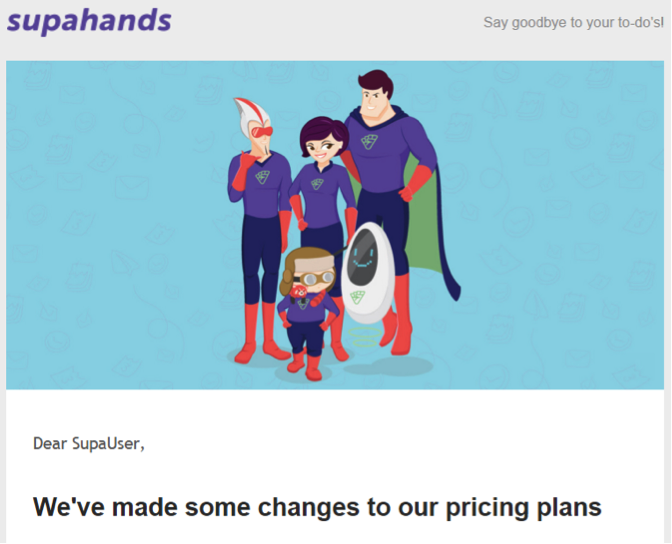 Supahands, a virtual personal assistant service which allows businesses to outsource their work, announced earlier this month via their weekly newsletter that they are making some changes to their pricing plans. As a typical Singaporean, I kept my fingers crossed thinking “YES YES! Chinese New Year discounts incoming!” However, the excitement was short-lived as the roller coaster ride was about to start. You see, I’ve been an avid user of Supahands since inception and have been actively promoting them to fellow start-ups. Supahands provides affordable virtual assistants that alleviate your administrative work and is a godsend to most manpower strained start-ups and businesses. 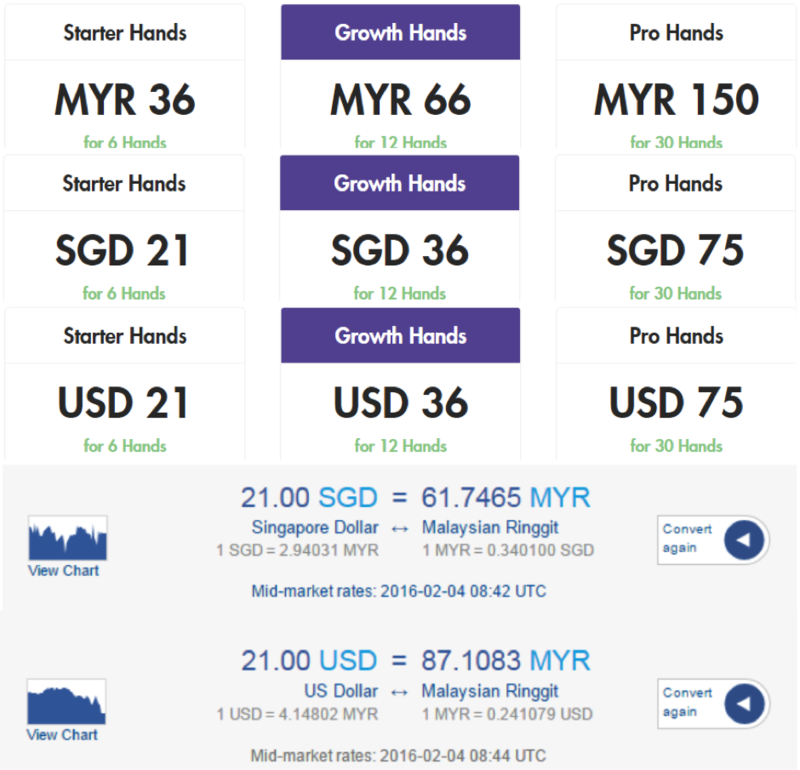 Supahands’ new prices support multi-currencies, I was happy to know I wouldn’t have to succumb to Paypal’s currency exchange rates to convert to Malaysian Ringgit for payment to Supahands. I was dreading, but I had to click that shiny green button. At first glance, it seemed normal, but as I calculated the prices I use to pay in Malaysian Ringgit, a sudden sense of dread crept up on me. It’ll cost me about 50% more paying in SGD to continue with their services. Hmmm, okay, but what about MYR? An attempt to visit their Malaysian website (Supahands.my) returned an error. So welp, it’s VPN time! 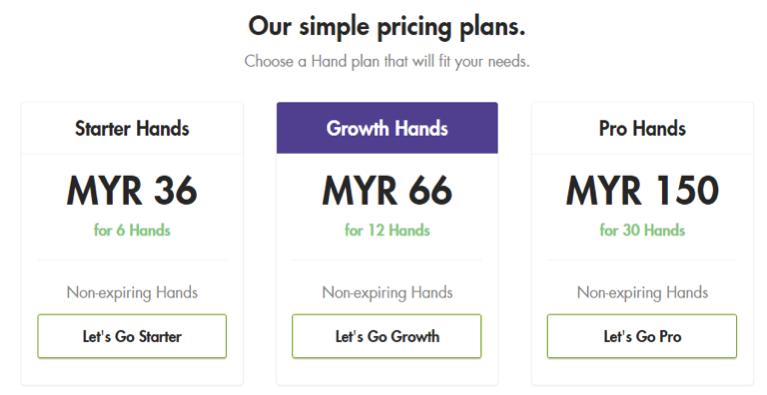 Here’s their dynamic pricing page when accessed via a Malaysian IP address. Here’s their dynamic pricing page when accessed via a US based IP address. All screenshots reflect the actual prices on their page at the time of writing. Prices vary drastically based on territory(IP) accessing their pricing page. For better reference, let’s put them together with the latest xe.com Forex rates included. 6 hands roughly equates to 2 hours of work. Using the starter hands as the base rate, the degree of price discrimination based on geographical location is TITANIC HUGE. Singapore based customers will be paying an additional 25.75 MYR, 70% more than Malaysian customers. US based customers will be paying 51.1 MYR, a whopping 140% more than Malaysian customers. The percentage difference is higher on smaller plans, and gradually decreases towards larger plans, but this price differentiation may put off users when they eventually find out they are paying over 100% premium on the same services purely due to geographical/currency differences. No one likes to be smart priced. I have to be clear though – I’m a satisfied customer of Supahands and have personally utilized over 200+ hands on their service. I have also used freelance virtual assistants across Pakistan, India, Phillipines and across Southeast Asia for various projects. 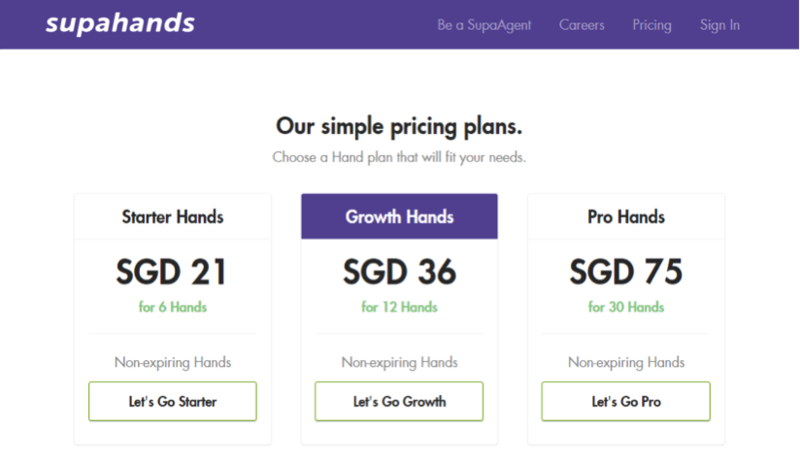 I have had some of the best service quality with Supahands, however, it is likely they may lose their competitive edge with their new SGD prices at S$11.5/hr on their starter plan compared to their old start plans at S$6/hr. Let’s hope Supahands will tweak the prices a little and to the readers, maybe it’s time to invest in a VPN! Price discrimination is a business strategy employed by many businesses. Price differentiation exists everywhere in our daily lives, from Airline Tickets to overpriced magazines and sodas sold at tourist spots and airports. This question on Quora provides balanced views on whether “Price Discrimination is Good or Bad”. 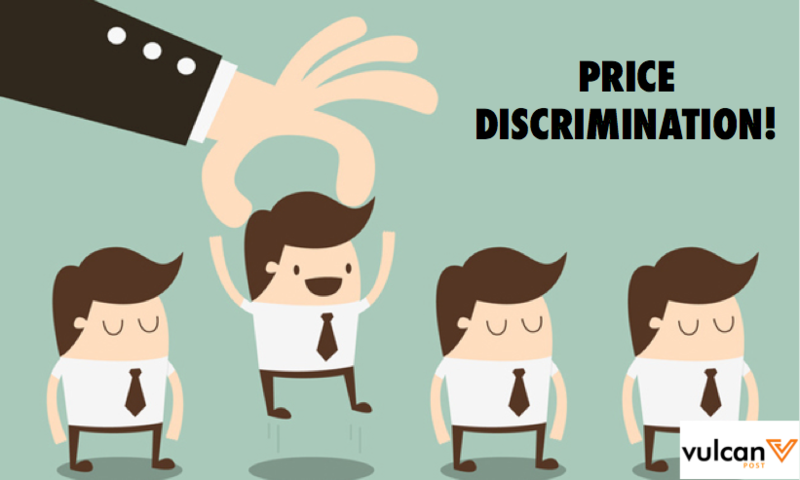 Have you came across any forms of price discrimination? What are your thoughts? Share them in the comments below! This article is contributed by a local growth hacker, who only wants to go by his pen name “Business Beng”.